Hard to describe. Almost looks like a telecaster trem, but without the side ashtray part. I'll try to get a picture. Apparently there were only a couple of them made/used, and they were used on a few guitars right around the beginning of the wood neck era. Curious if anyone has ever seen or heard of such a thing. 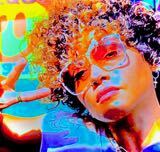 Is it the gold one from the pic that you emailed me? 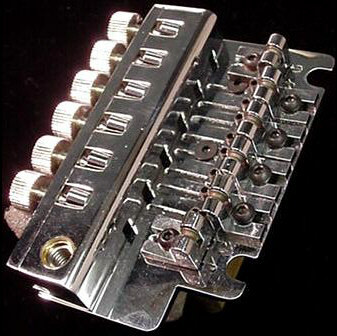 If so then it is a Schaller non-tremolo roller bridge. They also apparently did something back then maybe called the "Van Halen bridge" or something like that Maybe that is not accurate. I have an "B" series Pacer Special that I bought from the original owner. 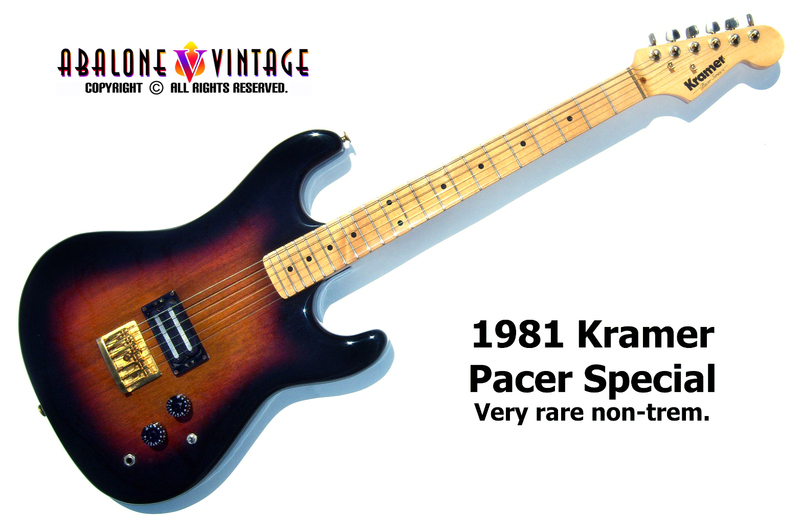 He said that he started out with an different Kramer that had the Van Halen bridge, but it sucked, so the following year he traded it for a new one when they started putting Floyds on them. Nice guy but kind of a goofball, so maybe he was not accurate about it. 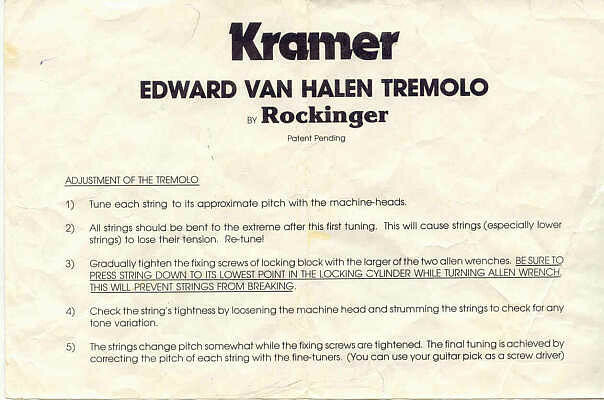 The Rockinger was referred to as the EVH bridge. Thanks guys. Very helpful! 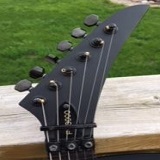 If I purchase the guitar with the trem in question, I'll try to get my technoluddite arse up to speed on posting pics. Looks like a brass nut too maybe? 9am53 wrote: Looks like a brass nut too maybe? I'm with you. Most of the strat heads came that way.